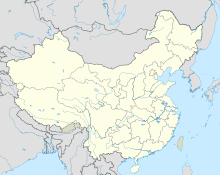 Weifang Airport is an airport in Weifang, Shandong, People’s Republic of China (IATA: WEF, ICAO: ZSWF). ^ "2015年全国机场生产统计公报". 2016-03-31. Retrieved 2015-07-10.